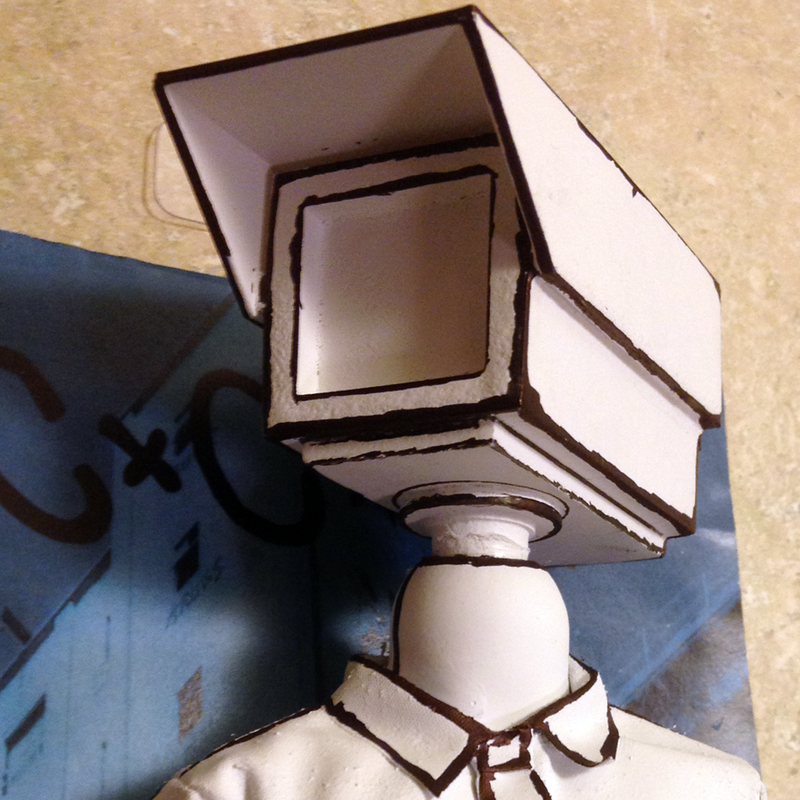 While I was working on the Oracle figurine I got inspired to make one for CCTV – another local graffiti artist. 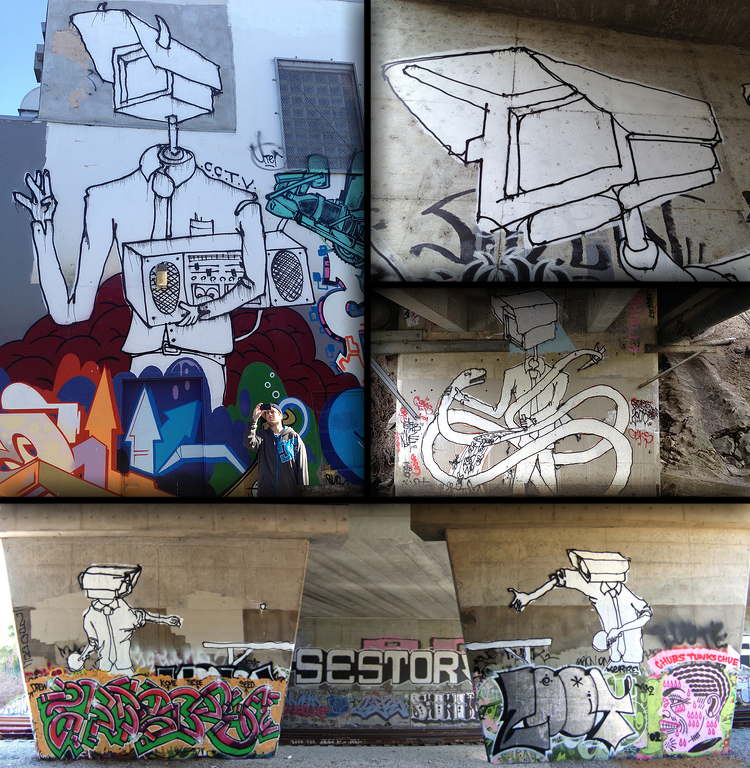 CCTV is an interesting artist, because his work has a very unique style for the graffiti world. He paints a person, usually a man in a dress shirt and tie, with a CCTV security camera for a head. Though some say they might look like rough doodles, they are almost always on an amazing scale. According to an interview with CCTV, he built a custom tool (which he’s keeping quiet about), just to paint these pieces. Often they are multiple stories high, or painted well above all the other graffiti. Unlike the Oracle project, which was entirely 3D printed, I decided to save some time. 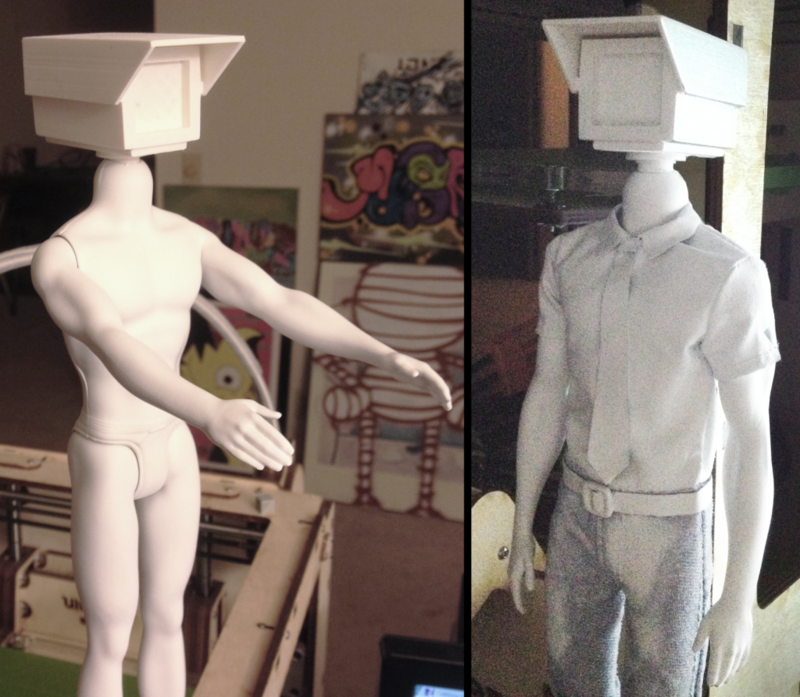 While I had already modeled CCTV in the past, his body wasn’t suited for 3D printing, just the head. 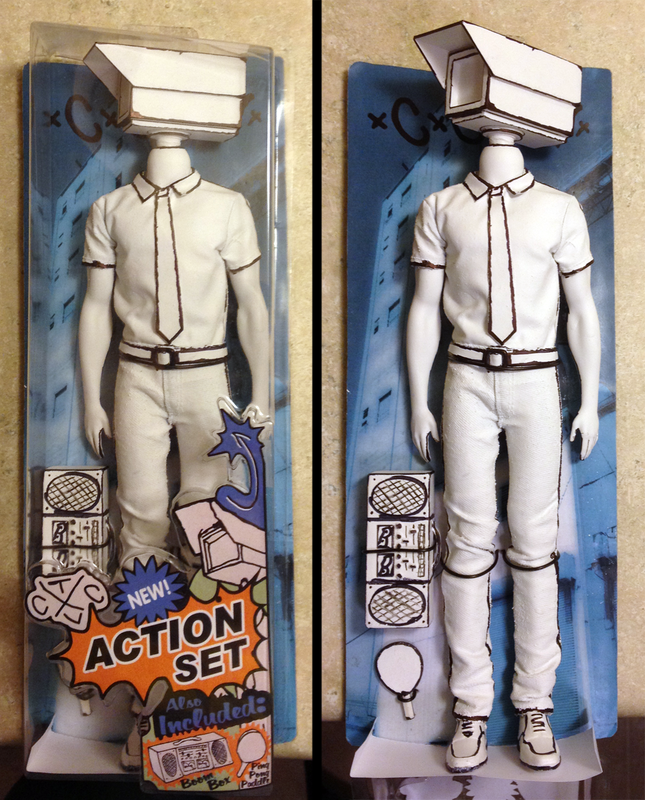 Instead of fixing up the body I decided to go to Toys’R’Us and find an existing toy to modify. 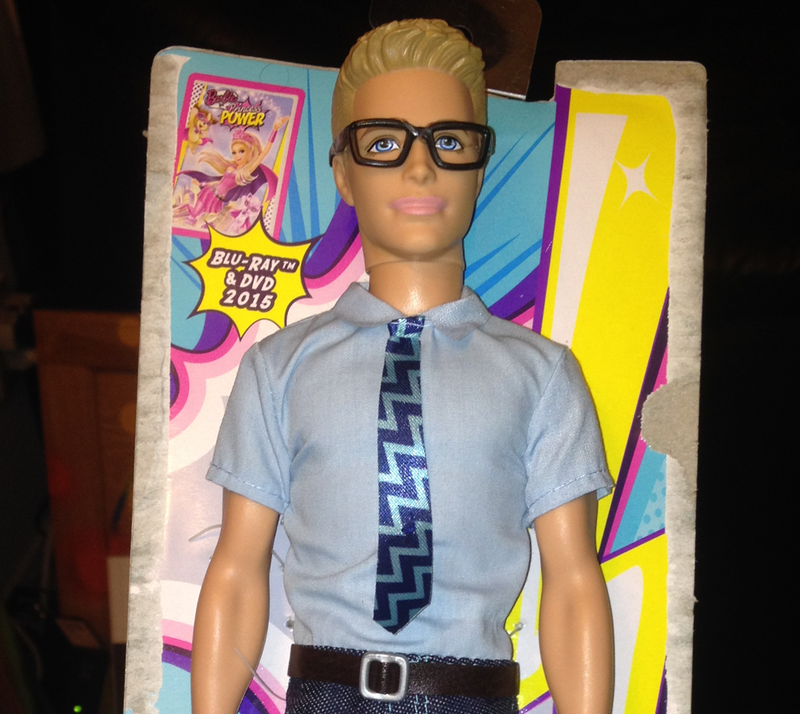 It wasn’t hard to find a Ken doll with a nice shirt and tie combo. As soon as I saw it, I knew it was the obvious choice. 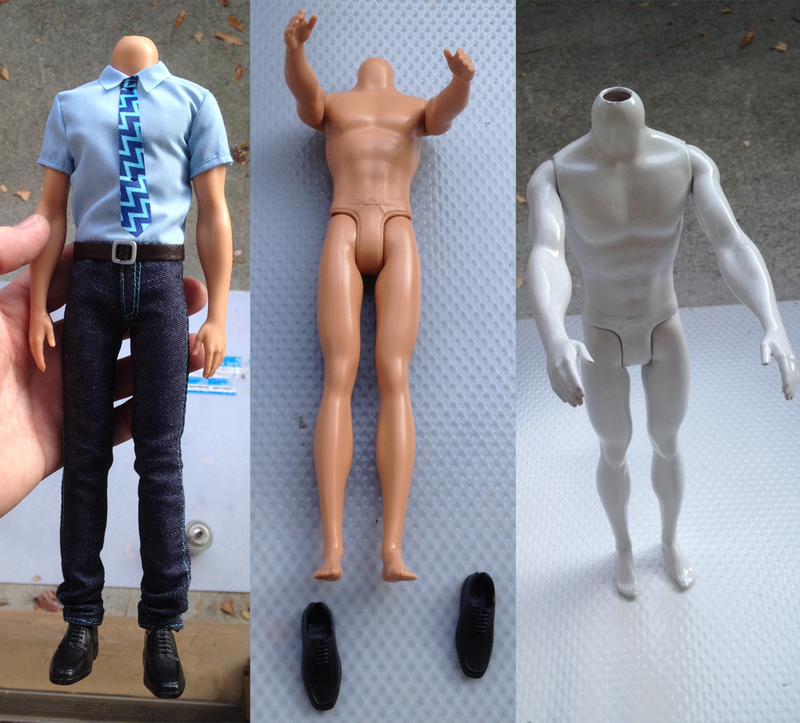 Soon I removed Ken’s head and the doll became at least 30% more masculine. 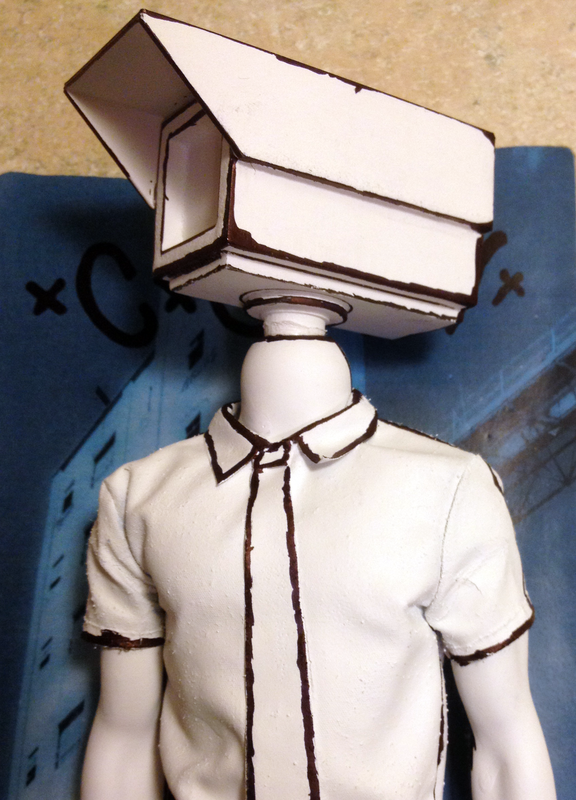 I stripped him down, and gave his headless body a nice coat of flat white paint. 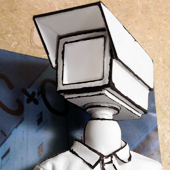 Next I prepared the 3D model of CCTV I had made a few months prior. I separated out the CCTV Camera head, and broke it into parts that could easily be 3D printed. Hours later, the parts fit! 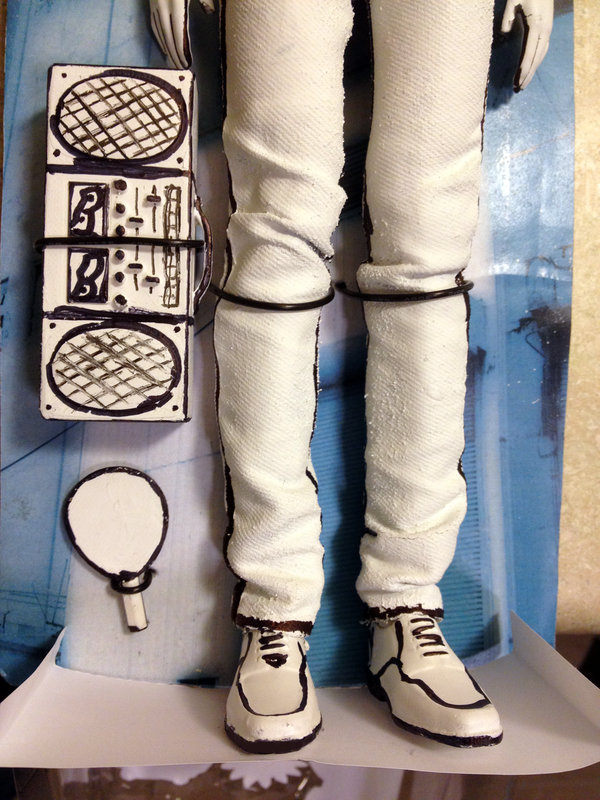 CCTV, who apparently wears briefs, was getting cold so I redressed him and started painting the clothing. While the shirt and tie took the paint no problem, the jeans took several coats of paint before they became fully saturated. The paint made the clothes pretty stiff. 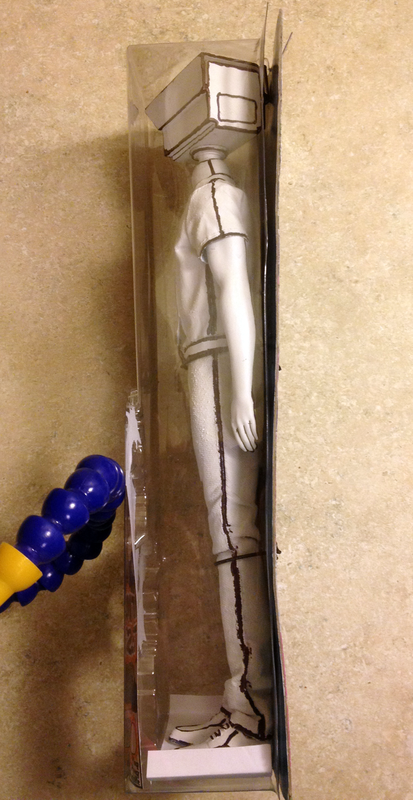 Although the doll has some articulation, it’s pretty pointless since it will ruin the paint on the clothes. Also, why the hell didn’t Mattel articulate the knees and elbows on this doll? For the insert I tried to keep the aesthetic in theme with the project. I used black, white and 3 colors in simple shapes with black outlines. The CCTV letters, portrait, and included items were traced out of real CCTV pieces. While I was working on the packaging graphics, I had my Ultimaker printing out a Stereo and Ping Pong paddle – two accessories inspired from actual CCTV pieces, see the picture at the top of this post. After a quick trip to FedEx Office, I had the graphics for the package printed out at 300 DPI. 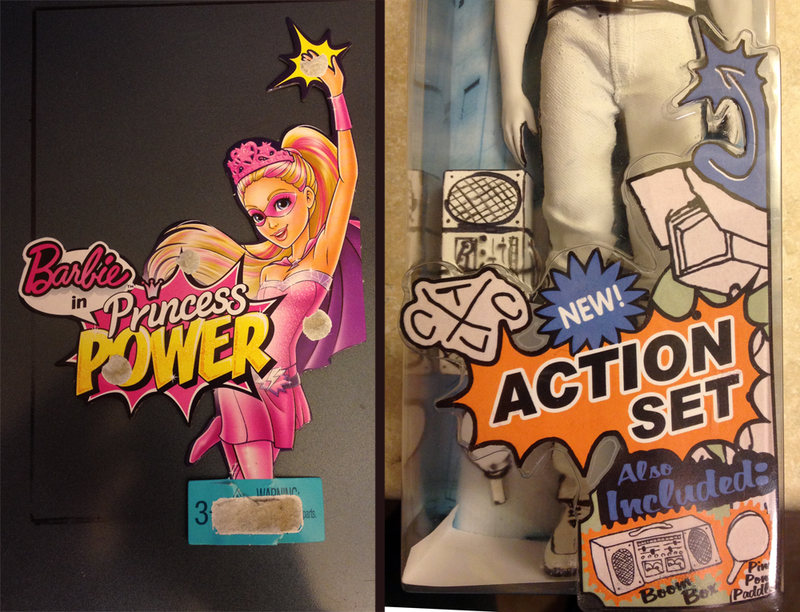 I glued them to over the original Barbie graphics with some 3M spray adhesive. I added black outlines to the CCTV figure, to imitate his street style, using a Milwaukee INKZALL pen and a fine point Prismacolor for the details. I kept the lines sloppy, again like the street style.